The Government has launched the Future Growth Loan Scheme to allow for the roll out of €300 million in funding to eligible Irish SMEs including farmers. Businesses will be able to apply for loan eligibility through the SBCI from 17th April. Three finance providers – AIB, Bank of Ireland and KBC – have agreed to participate in the Scheme and negotiations are ongoing with another two. The Government is urging businesses to use the coming three weeks to start preparing their proposals for long-term capital investment. The funding allocations for the Future Growth Loan Scheme are €37 million from the Department of Business, Enterprise and Innovation and €25 million from the Department of Agriculture, Food and the Marine. Of the total budget, €42 million relates to expenditure in 2018 with a further €6 million allocated in 2019 and the remaining €14 million over a third tranche. The Department of Agriculture, Food and the Marine’s share of funding ensures that at least 40% of the fund will be available to farmers and agri-food & seafood businesses. Minister for Business, Enterprise and Innovation, Heather Humphreys TD said: “With Brexit on the horizon, investment in innovation and diversification has never been more important. For this reason, I would strongly encourage businesses to started putting their proposals together now so that they are ready to start the application process with the SBCI. Minister for Agriculture, Food and the Marine Michael Creed TD said: “This is a long-awaited source of finance for young and new entrant farmers, especially the cohort who do not have high levels of security. It will also serve smaller-scale farmers, who often do not have the leverage to negotiate for more favourable terms with their banking institution. Along with products such as Milk Flex, this Scheme will form part of a comprehensive investment package for farmers. I am also delighted to be able to include the seafood sector in the scheme. The Future Growth Loan Scheme will feature a two-stage application process. Applications for eligibility under the scheme will be made through the SBCI website. The SBCI will assess the applications and those successful will be issued an eligibility reference number. Eligible businesses will then be able to apply for a loan under the scheme with one of the participating finance providers using the eligibility reference number. Approval of loans are subject to the finance providers’ own credit policies and procedures. 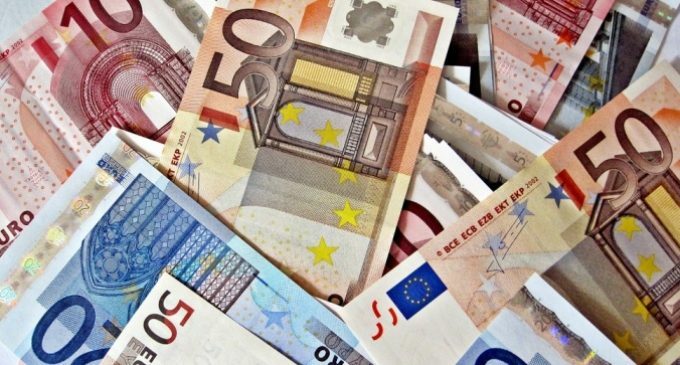 Interest rate of 4.5% for loans up to €249,999 and 3.5% and less for loans greater than or equal to €250,000. Investment in tangible or intangible assets for the purpose of process and organisational innovation. Investment in tangible and intangible assets on agricultural holdings linked to primary agricultural production. This Scheme is supported by an agreement with the EIF, and SBCI have signed to support lending toward small and medium-sized enterprises (SMEs) as well as small Mid-caps. This agreement allows SBCI to provide guarantees to lenders financing companies in Ireland for a total of €300 million over the next three years with the support of a counter-guarantee provided by the EIF.